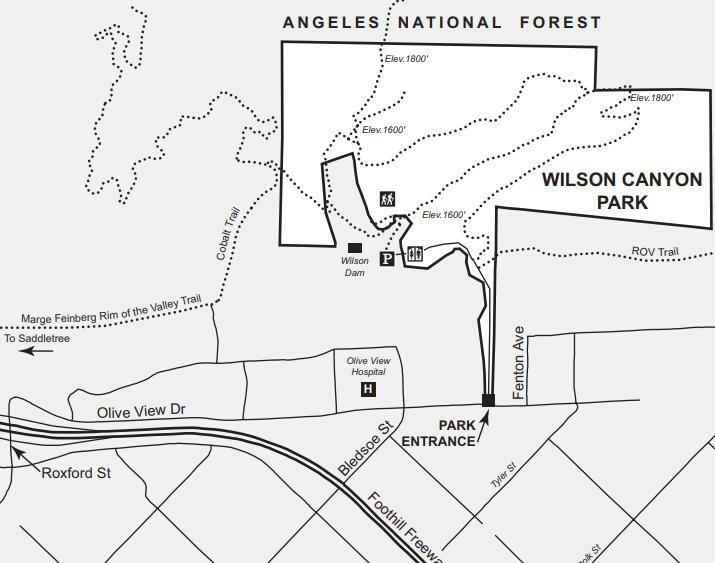 Nestled in the foothills of the San Gabriel Mountains above the northeastern San Fernando Valley community of Sylmar, 240-acre Wilson Canyon Park offers visitors secluded wilderness, a network of easy-to-moderate trails, a rich variety of plant communities, commanding vistas, and abundant wildlife. The park features verdant oak woodlands, a year-round creek, and commanding vistas. It is a popular portal into the adjacent Angeles National Forest and its extensive network of trails.